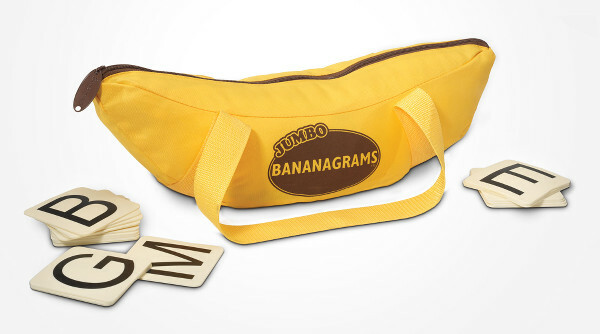 Are you familiar with the addictive fun of Bananagrams? It just got huge. If you’re not familiar with Bananagrams, let me enlighten you. It’s an anagrams game, where the aim is to use up all your tiles to make your own crossword grid before your opponents use theirs. You might played something similar with Scrabble tiles, but Bananagrams differs from Scrabble in that each player makes their own grid. 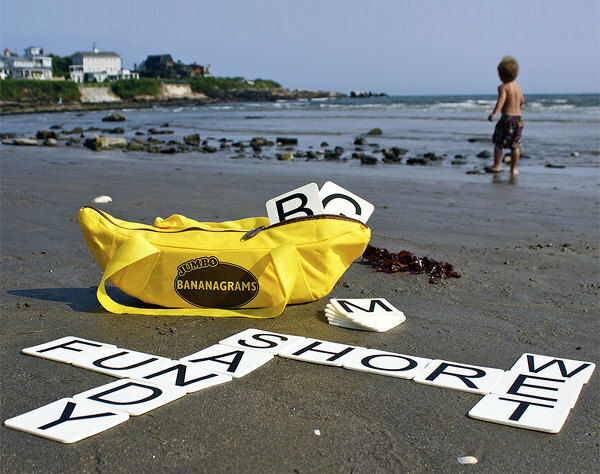 Bananagrams is great fun for adults, but it’s also a useful and fun tool in helping kids learn to read and spell. The words you make don’t need to be big ones, they just need to fit together, and even beginning readers can do that, especially with an adult’s help. Now with the release of Bananagrams Jumbo, all the words you make will be big ones, because the tiles are a whopping 7.5cm square. Bigger really is better – not least because the new, larger tiles are waterproof and flexible so you can take the game out with you and not worry about it getting wrecked. 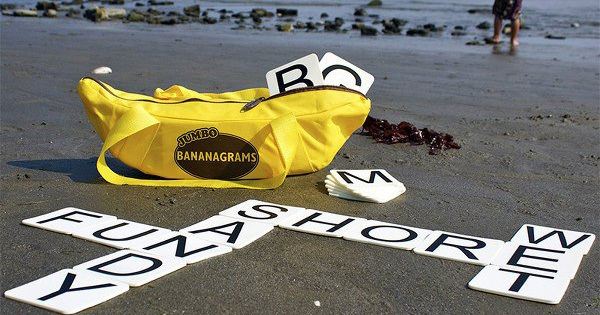 Fancy a big afternoon game of Bananagrams Jumbo in the backyard, or at the beach? Now you can. Pick it up from The Creative Home for US$44.95 plus shipping.